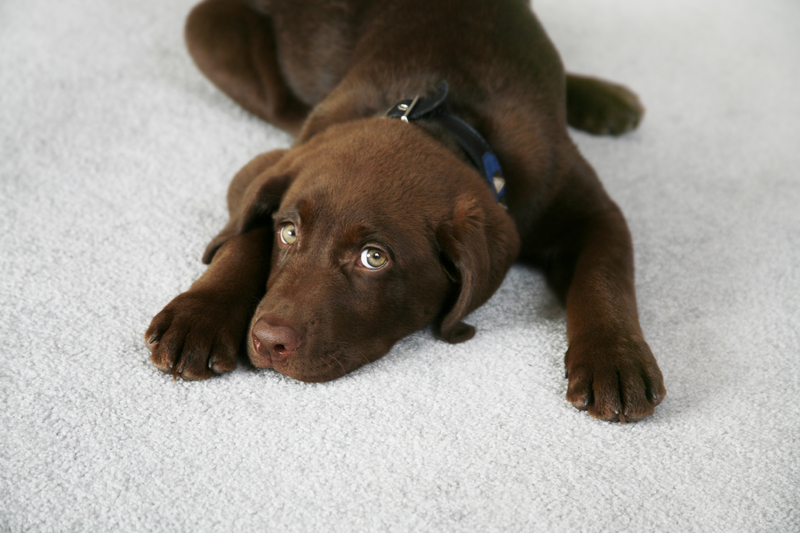 Removing pet odor can be tricky, especially if the urine as soaked through to the carpet backing, pad, or even reached the sub floor. The key to remove any pet odor is to first locate each and every possible source of odor. This means a through inspection using high intensity uv black lights and a urine probes to determine how deep the urine reached. Next the pet odor contamination is documented and we come up with a plan for treating the odor. In most cases we use a very hot solution of our specialty urine odor cleaning agent, poured directly onto the source it begins to work imediatly beaking down the urine. After allowing sufficiant time for the pet odor treatment to work the cleaning agent and the urine are removed during the normal cleaning process. In more severe situations where the urine has reached the pad or sub floor, addtional steps are needed. These can include removing and replacing the pad, sealing the sub floor, replacing tack strip, cleaning both sides of the carpet, and additonal sub surface urine odor treatments. If odor is also being treated the stain will be removed during the odor treatment process. However, if the stain is the only issue the pet urine stains will be treated prior to cleaning. If any stain remains it is treated again after the cleaning, and in most cases will be completley removed. In somecases urine can actually remove dyes from carpeting and make it appear as if the spot is still there. If you have a fresh stain blot up as much as possible using white paper towels and than call Mighty Clean Carpet Care to ensure the stain and odor is removed from the carpet, carpet backing, and padding.